The Gospel of God in Christ (GOGIC) uses a color coding system. Synonym and iterations (repeated words) are in blue contained with parenthesis. Readings that teach being in Christ are in light beige; Paul's prayers are in light green. 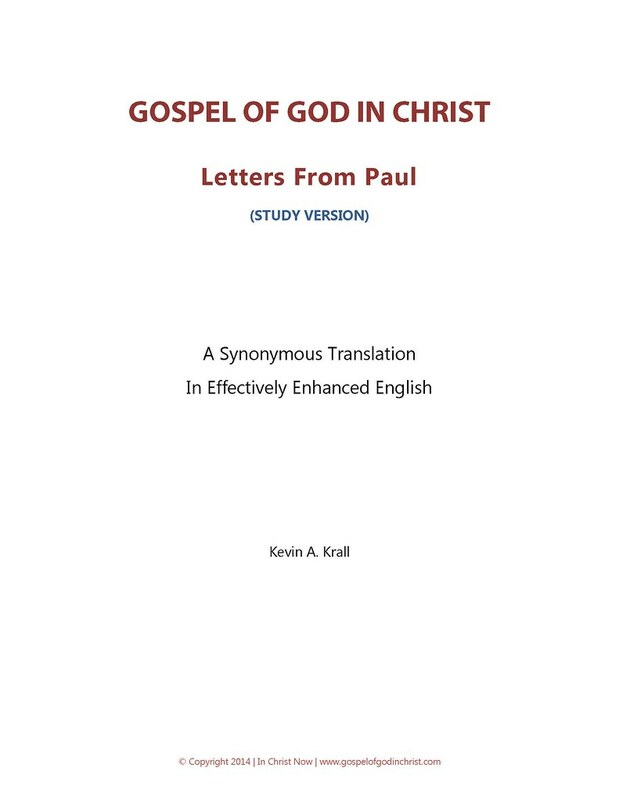 Krall describes the GOGIC as a "synonymous translation in effectively enhanced English". 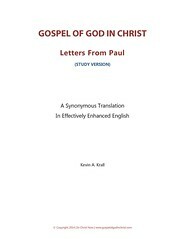 More information can be found at http://www.gospelofgodinchrist.com. For sample verses from the Gospel of God in Christ, click here. Comments: This edition has study notes; Hebrews is included. 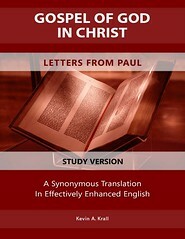 Comments: This edition does not have study notes; Hebrews is included.